Sometimes when a post like my most recent one appears on the Internet, someone immediately thinks the writer believes that the period in question is a Golden Age, or a more ‘pure’ age of Christian spirituality. I remember once I sent an article about first- and second-century evangelism to a friend, and it came up in the comments section of his (now dead) blog, and someone came in with all guns flaring as though he and I believed that everything done in the ancient church was perfect. This is not how I view ancient and early mediaeval Christianity. We have to immediately admit that things back then were not perfect — as early as Paul’s letters to the Corinthians or the message of the Spirit to the churches n Revelation we have evidence that Christian persons are not perfect. 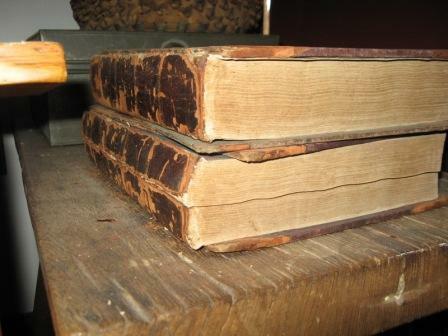 This trend is visible not only in Patristic and Mediaeval texts that try to solve and reform problems, from 1 Clement to Gregory of Tours or the letters of Gregory the Great, but also in texts that claim to bear weighty authority — some of these are visibly heretical to post-Chalcedonian eyes, others tread near to it, others have problems mingled in with the good, invisible to their authors. Notker the Stammerer’s Life of Charlemagne, for instance, gives us a vision of Christianity and Christian liturgy that is mostly about doing exactly the right thing at the right time; I feel that his is one of the most ritualistic (in a bad way) and legalistic texts I’ve met. So if ancient and early mediaeval Christianity are so obviously flawed, why would I favour them in the prayerful commission of new liturgies for today’s context? Why not just, say, construct liturgies out of Bruce Cockburn lyrics or attend U2charists? I have that on a Post-It Note on the endpage of my Book of Common Prayer. I just love it. Another slightly less subjective reason is the connection with the historic faith and believers through the ages. Sometimes, when I receive the Eucharist, I am filled with awe at the fact that I am joining with millions of other faithful Christians on that same day to partake of the precious Body and Blood of Our Lord and Saviour Jesus Christ. Nothing can compare with that mystical act. But when we pray using the old forms and old words, we are joining brothers and sisters in a transtemporal and transnational expression of piety towards the Triune God. It is not good for the man to be alone, says the LORD in Genesis. Praying ancient and mediaeval prayers is a way to unite with the rest of Christ’s mystical body and not be alone. Furthermore, ancient and early mediaeval prayers contain powerful Gospel truths. I was raised in the evangelical, charismatic wing of Anglicanism. The glorious and wonderful Gospel of Jesus Christ — that God became a man to save us poor wretches, and that He died a terrible death for us poor sinners, and that He rose again victorious from the grave, and that He ascended, and is now present with all who call upon His Name, that we are not saved by any of the good things we may do but simply through His grace, which we must accept in faith (you know that Gospel), and so forth — is the heritage of all faithful Christians. A fourth reason is that ancient and early mediaeval prayers can speak to us in ways our own words and worlds cannot. This reason would be a reason to use any historic liturgy, be it 1662 or the Tridentine Mass or the Use of Sarum or the Divine Liturgy of St John Chrysostom or the hymns of the Oktoekhos or Aelfwine’s Prayerbook. If our prayers are temporally bound to this moment, there is a danger of them becoming earthbound rather than heavenward. I think there is an intuition along these lines in the liturgical reforms of the sixteenth and seventeenth century. 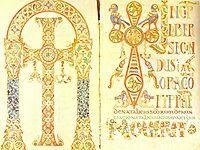 Cranmer, for instance, mined the riches of the Gelasian Sacramentary as well as seeking to establish a more ancient form of what is basically Sarum (in English with no saints, mind you). The Council of Trent explicitly sought to re-establish the worship of ‘the Fathers’. Later, Pius X in the early twentieth century was interested in reinvigorating the worship life of Roman Catholicism through Gregorian chant of all things. If we produce new liturgies based solely upon the past several years or decades, we will be timebound, trapped by U2 or by Cockburn, by the Gettys or by Graham Kendrick, praying all the latest fads instead of deep, uncomfortable truths we may never have thought to pray about. Fifth, these prayers are not merely old, they are tested and true. Not every prayer or ritual act found in a mediaeval manuscript and dateable to the centuries of my interest is worth our time. I think. I admit to not being sure about that, but I’ll concede the hypothetical point. Nevertheless, many of the prayers from this period made their way into the liturgies of the great branches of Christianity — take the Divine Liturgy of St John Chrysostom or of St Basil the Great, or the Eucharistic Prayer of Addai and Mari, or the Catholic Mass, or the Book of Common Prayer, or the various breviaries and liturgies of the hours — many of the prayers we find in the earliest traceable liturgies have made their way to us in these texts. Let us give thanks unto our Lord God. Thank the Lord for St Hippolytus (d. 230s) in whose day this was already traditional in the Church of Rome. And realise that this ancient liturgical moment in the ‘Anaphora’ crosses not only between Anglican/Lutheran and Roman Catholic, but across to the Eastern Orthodox and historic Oriental churches as well. Generations of Christians have found ancient and early mediaeval prayers to be nourishing. By praying these prayers, they are able to lift their souls to heaven. By reading these words, they have found themselves in the throne room of God. By meditating on their truths, they have come nearer to the Most Holy Trinity in their frail, human understanding. Should we not join them? Concede nobis, omnipotens Deus, ut per annua quadragesimalis exercitia sacramenti et ad intelligendum Christi proficiamus arcanum, et affectus eius digna conversatione sectemur. Per. Grant to us, Almighty God, that through the annual exercises of the Lenten sacrament we may both make progress to understanding the mystery of Christ and follow after his compassion with a worthy conversion. Through our Lord Jesus who liveth and reigneth with thee and the Holy Spirit, one God, now and forever. Amen. Almighty and everlasting God, who hast placed the curatives for our sins for us in the observance of fasting and the seed of almsgiving, grant that we may be always devoted to you by the work of mind and body. Through our Lord and Saviour Jesus Christ, who liveth and reigneth with thee and the Holy Spirit, one God, now and forever. Amen. Either way, the emphasis of these prayers, despite the second one calling fasts and almsgiving ‘nostrorum remedia peccatorum’*, is on the effect and purpose of Lenten discipline. Amongst the Orthodox communions and traditional Roman Catholics, as well as the Late Antique and Early Mediaeval Christians represented in these prayers, the Lenten discipline is/was the abstinence from certain foods — animal products and olive oil — in the forty-day period before Easter. Today, many of us have some other Lenten discipline instead: abstaining from chocolate/sweets, coffee, alcohol, Facebook, blogs that annoy us; or perhaps taking on something: fasting once a week, studying a book of the Bible in depth, reading a particular spiritual book (perhaps the Archbishop of Canterbury’s Lent Book), or maybe going to a midweek service at our local church. The purpose of these disciplines, whether traditional or modern, is to draw us to Christ. The first prayer above is for greater understanding of the mystery of Christ — a mystical and theological request — and for a greater conversion into his likeness (equally mystical and theological, frankly). The second prayer is for endless devotion to God. Sound requests, if you ask me. Let us keep them in mind on this Lenten journey to Easter. 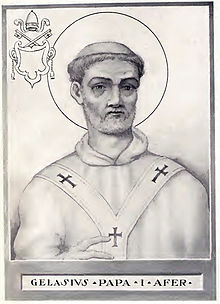 *For which there is, I believe, a disturbing (to us Prots) biblical precedent discussed by Pope Leo I in his sermons on fasting. It is, indeed, right that, with hearts raised up on high, we worship the divine mystery* by which the human condition, with the old and earthly law ceasing, is brought forth as a new and heavenly substance, miraculously restored, so that which is carried out by the great gift of God may be celebrated with the great joy of the Church. Through Jesus Christ our Lord, who lives and reigns with you and the Holy Spirit, ever one God, unto the ages of ages. Amen. From Communion Prayers at Prime for Christmas morning. My terrible translation.